What exactly is a meal credit? Redeem a meal credit here and receive 1 entree and 1 beverage – Guests under 21 years of age can choose one non-alcoholic beverage or specialty beverage. Guests 21 and older can can choose either one non-alcoholic beverage, specialty beverage, or one single serving mixed cocktail, beer, or wine (where offered) with their meal entitlement. NOTE: Children ages 3-9, although have paid the cost of the child dining plan, can in fact order from the adult menu at quick service restaurants only. NOTE: Sharing of meals IS allowed when redeeming a meal credit at a quick service restaurant! Often times, I will let one of my young children share a quick service with me. This allows for us to have more credits to spread out throughout the week! 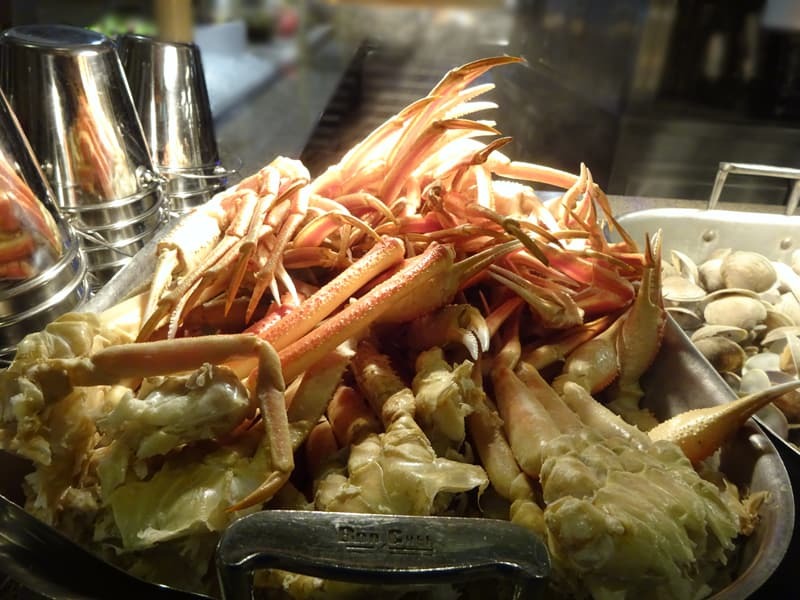 Redeem a meal credit here and receive 1 appetizer, 1 entree, 1 dessert and 1 beverage OR unlimited buffet and beverage. 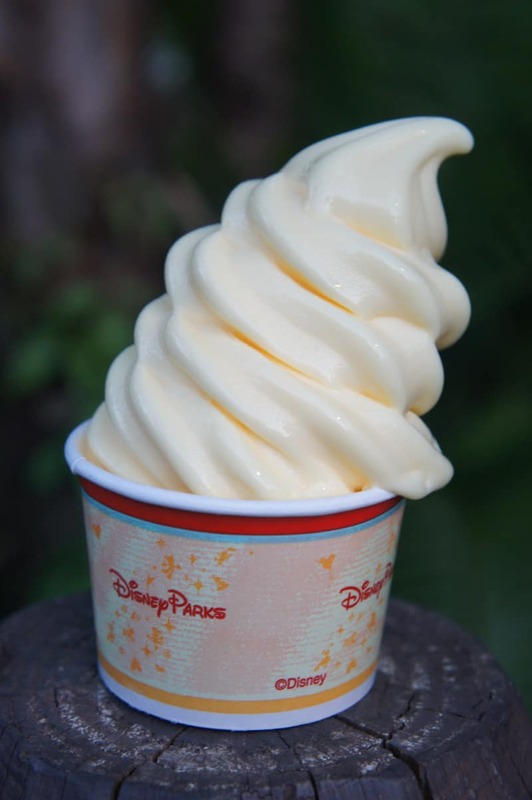 Guests under 21 years of age can choose one non-alcoholic beverage or specialty beverage. Guests 21 and older can can choose either one non-alcoholic beverage, specialty beverage, or one single serving mixed cocktail, beer, or wine (where offered) with their meal entitlement. Yes, these credits are redeemable for Character Dining! NOTE: Children ages 3-9 are only allowed to order off the children’s menu when using at table service restaurants. NOTE: No sharing of meals allowed at table service restaurants. What about the snack credit? What is the refillable mug and how do I use it? 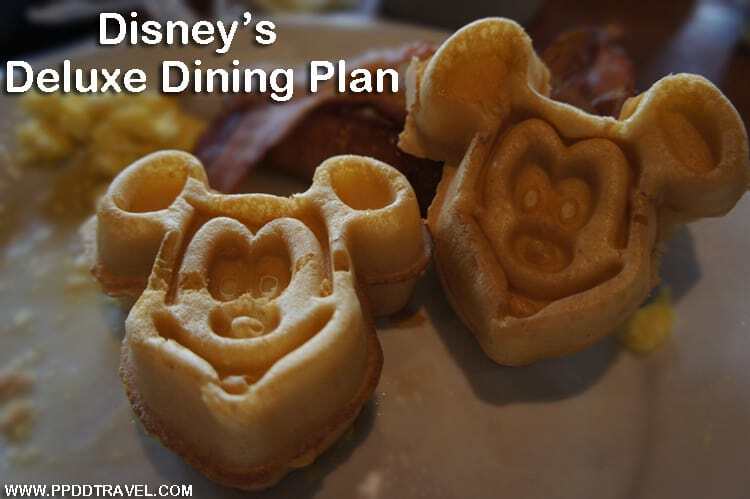 Since the dining plan is based on the number of nights you stay, that is how the credits or meals will be calculated. 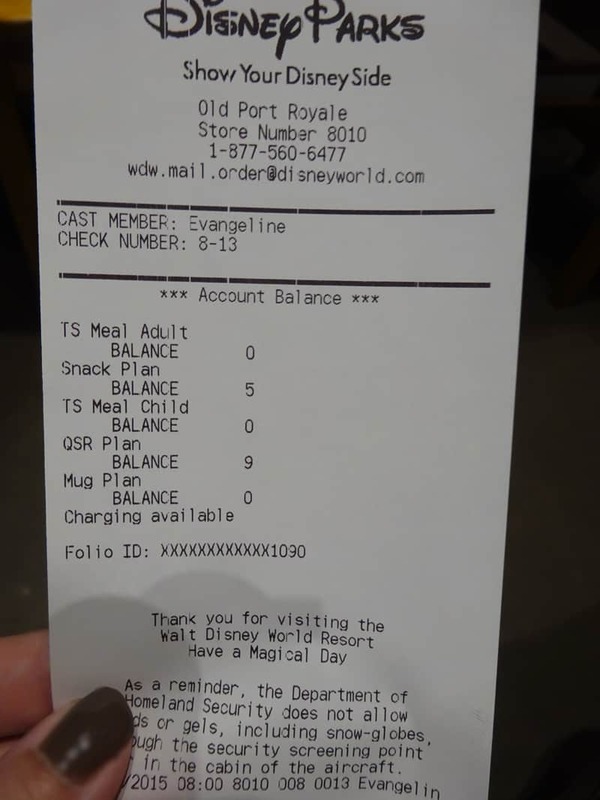 For example, if a family of 4 were staying 5 nights with the Deluxe Dining Plan, they would have a total of 60 meal credits, 20 snacks and 4 refillable mugs loaded onto their account upon check in at the resort. Example, the family of 4 staying 5 nights: They started with 60 meal credits, after eating their first meal, their receipt would say 56 meal credits remaining. 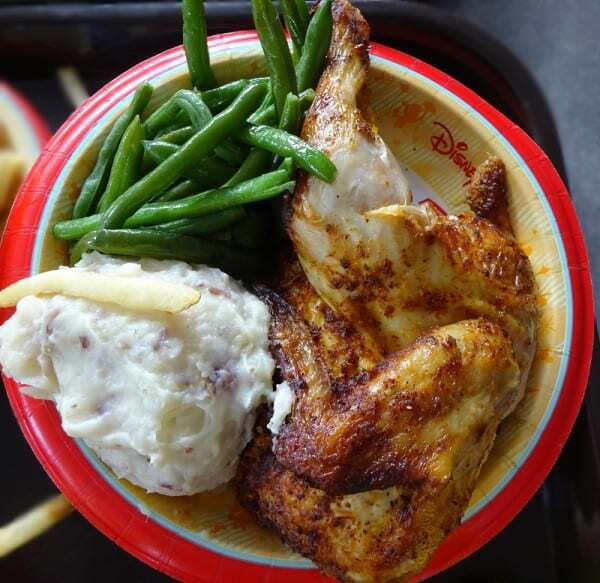 You can also check your remaining dining credits on your My Disney Experience app. All Pirate and Pixie Dust clients will have access to know how to do that through the client portal, so be sure to check that out! Although most locations only require 1 table service credits from the Plus and Deluxe Plans, there are some locations that require 2 table service credits per person.